There’s a huge lump in my throat and tears in my eyes right now, Father. . . . Thank you for this. I cannot adequately express my gratitude for the healing “hiddenness” of God’s Self-revelation in the Liturgy and for the “soft light” of Confession. In the Liturgy He allows me to hide myself in the crevice of the Rock which is Christ and just be there hidden with Him in His healing presence. Amen. Thank you once again. Wonderful and timely post Fr Stephen. Thank you. I am a relatively new Reader in the church, and before my training was complete, our priest was reassigned to another church and our head Reader left to go to the same church in another state. I have been doing Reader services every weekend (Vespers, Orthros, and Typika) for over a year and half now. I have been learning as I go, but I have been exploring depths of shame and envy that I didn’t know existed. This past holiday season was particularly wonderful and difficult as we had 3 different priests and our Bishop visit our tiny parish for Nativity and Theophany services all of which I was responsible for doing the chant and liturgics solo. I am not a very good chanter, and the Reader that left was a regionally known Byzantine chanter. Forgive me if I seem to be complaining or whining, but this serves as a backdrop to coming to grips with my own shame and envy during my prayer time. The shame comes from my self-imposed expectations that I somehow should be a top notch liturgist and chanter, and the envy comes from watching all the cradle born, clergy with many years in the church, and multi-talented chanters do things that I could only dream of. So, as a licensed marriage and family therapist that works in a community mental health center with severely mentally ill clients, I was able to step directly in the shoes of my clients realizing in some respects that they had more experience and coping abilities with shame then I do. I am starting to understand that shame and envy are universal experiences, and possibly why they are not shared is because of that common experience we all have of having fallen, in others eyes, in our own, and at the most fundamental level, with God. Perhaps the fall occurred because we envied God himself. As I am recovering from this wonderful, insightful, and fearful experience, I continue to prepare for next weekend’s Reader services, I continue to pray, and my faith tells me that in years to come, through taking the sacraments and doing confession, the shame and envy will begin to decrease a little. It’s a work in progress. Thanks again. Thank you for your work in/for the Kingdom of heaven. I am reminded of three powerful, but often, I think, missunderstood passages in Holy Scriptures. For continued vision I pray. How well I relate to your story! When I converted in ’98, I was immediately appointed as the “lay pastor” for our newly founded mission. I was a trained “theologian,” but had no training in Orthodox liturgics. Every week I was working 40 or more hours as a hospice chaplain, and cramming every evening for the next weekend. For the first several years of ministry as an Orthodox priest, I rode a roller coaster of shame and envy (unidentified) as we struggled to get a parish off the ground. It was doubtless the most excruciating emotional experience of my life. I do not regret it – only that I knew so little about what was going on within me and how to cope. Doubtless your counseling ministry gives you great resources. This past year, studying shame and doing a lot of inner work with it, has been one of the most enlightening years of my life and ministry. Many things make sense now (emotionally) that were simply powerful and unknown before. God give you grace. May he prosper your parish as you offer the sacrifice of praise and thanksgiving! What a fantastic teaching article . . . so true . . . every bit of it! Thank you. Oh how blessed it is to put oneself in that “path of shame” that our Lord first trod for our sakes, and following Zacheus’s example confess all to our Spiritual Father! I always thought this subject is the most important, because there is no sensitive alternative outside of the sacrament , , the ‘safety’ of confession is so life affirming that the sense of dignity is restored inwardly , one cannot duplicate that restoration anywhere. Though I’m catholic and Ukrainian ( I’ve yet to go to Divine Byzantine liturgy), , I’m so greatful for the option before masses and the frequency parishes offer it. I’m wondering , many Byzantine and orthodox only have once a week and by appointment , is it fairly accessible when one needs it? It is deeply important to understand that the “path of shame” that Christ traveled, is not a shame placed on us by God. He never shames us. It is our own response from which He seeks to deliver us (“and on His shoulders bore our shame”). I’m sure you know this, but I wanted to add this note lest anyone misunderstand. We do willingly, at some point, have to face shame in order for it to be healed and for its toxic power to be removed – thus we have to willingly walk that path. But, that Christ has walked it already and shares it with me gives me the courage and safety to walk it as well. I do not need to fear. There is, of course, shame as a healthy response. Those who have no shame are sociopaths. But even as a healthy response, it has to be treated lovingly and knowingly. Father I hope and pray you recover quickly from this nasty bug that seems to have set itself upon you with some violence (sounds like Norovirus — are you very drained?). May shame be turned to humility (when it rears it’s ugly head) and may we thank God for all that too. Amen. Thank you Father for the much needed clarification on the “path of shame” (of Christ) as opposed to its misunderstandings! There is always the healthy and the unhealthy version of all these matters discussed here. The western idea of original sin as inherited seems to me to say that sin is a flaw in us that we cannot get rid of-a source of shame. I have heard in western hymns and preaching the idea that Christ does not overcome our flaw but covers it in His blood so the Father does not see it. How different the eastern Orthodox idea of sin as a disease that is cured by Christ’s blood so that we are truly made righteous and not just appearing that way. Father, you said that a sociopath has no shame. I think they have been shamed so much by the devil that they are nothing but shame. If the devil tempts them with something really wicked he immediately shame them for the thought. Because of their shame they think they are wicked. A small child will cover their face with their hands (or otherwise hide their face) or quickly adopt a mask of disinterest or anger to keep shame at bay. Some simply cry. As a male authority figure (with a dark, strange cassock and a long beard), I am used to small children sometimes responding with a “shamed” expression. A parent suddenly presents a small child to me, who is overwhelmed (and thus shamed). Rather than smiling and responding warmly, they burst into tears (sometimes rather inconsolably). It’s disconcerting for all concerned! I wonder about this. There was a time when society looked down on divorce and therefore divorced people had a sense of shame that is not prevalent in Western culture today. The same could be said about homosexuality. People are born gay but no longer have to contend with “shame” unless they are surrounded by people who are condemning them. I think if we are honest about how humans behave (simply because that is how our biology works) we’d spend less time blaming and shaming one another (and ourselves) and more time accepting people as they are. Shame is a great motivator though. You can shame a dog into behaving the way you want it too. People are somewhat easier to paper train with this method. Isn’t shame a key factor in the Protestant movement? Seems to work pretty well. Envy wants the other to suffer loss and simply be deprived. I am starting to understand that shame and envy are universal experiences, and possibly why they are not shared is because of that common experience we all have of having fallen, in others eyes, in our own, and at the most fundamental level, with God. Can you help me better understand this idea of shame as you expressed it? Why on Earth would you expect yourself to be “a top notch liturgist and chanter” when you know your limitations? If you believe in a merciful god, why would you feel like you might let him down by just doing your best? Or was it the parishoners or the visiting clergy that intimidated you? Whence the fear? I don’t understand this at all. If you know that you did your best, what more could you ask of yourself? my faith tells me that in years to come, through taking the sacraments and doing confession, the shame and envy will begin to decrease a little. This sounds rude in writing but it isn’t intended as such; This seems a little overboard to me. It’s not as if you burned down an orphanage or shot the last living tiger or anything. If this is the thing over which you feel the most shame, you have led a very good life. Thank you for your post. I just finished reading a book on Shame & vulnerability called Daring Greatly. It seems that the Lord is already preparing me for Lent. The above post was very timely. I Love this blog and this article seems to strike something fundamental. The point about liturgy is beautifully made and resonates deeply with discussions within my own tradition where so many want to make worship flat, remove mystery in the name of mission. I was particularly struck by your comments on Envy. Is this perhaps not The Primal Sin – ‘that you might be like God’ – by which our forebears fell. Was it not evidenced once more at Babel? And does not our Saviour come as one who does NOT consider equality with God something to be grasped?? You are so insensitive! 🙂 But, one of the top-listed items of fear for most people is public speaking. Make public speaking into chanting and conducting a service and it’s worse still. Shame is born of failed expectations (ours or someone else’s). Getting realistic is indeed helpful, but getting at the “why” do I have unrealistic expectations is the harder thing. It’s just part of healing and growing. The interior sense of shame which many people have at all time, is an inner sense that there is something wrong or inadequate or failing about them. Statements (in our heads) like, “I always…” are usually the sounds of shame – irrational – but powerful. Your citing of social stigmas – such as sexual orientation, etc. – are good examples of how society uses shame to control people. I think that we deeply abuse shame in our culture and have devastated any number of lives as a result. “Bullying,” a popular topic at present, is simply another form of shame – which is why it is so devastating. We use it in our public speech, in our debates, etc. never advancing our case, but doing deep damage. Shame has long been associated with religious practice (simply because it works). The religious use of shame begins to cross into what is today described as “spiritual abuse,” and I agree with that analysis. Christ has not ordained me to shame people, but to heal their shame. No culture is immune from this. I appreciate cultures where it is very much acknowledged and rules govern it (classical Japanese, for example). We have much to learn. Fr. Stephen – I too pray for your recovery. As a psychologist, I most often encounter shame’s destructiveness when people have come to believe that they are bad because of things done TO them. This sense of bad self then becomes exaggerated so that the person’s view of their own behaviors (either normal or sinful) take on a quality of shame. Thus, the person finds forgiveness to be very difficult because they are not feeling a simple guilt for doing a wrong thing. They feel they ARE the wrong thing but they must not let others find out or they will be rejected. They may even anticipate God or their clergy rejecting them, adding to the secrecy and blocking them from experiencing the grace that awaits. I realize there are much simpler cases of shame, of which I have had my share. The sacraments are immensely helpful in healing. I also believe that we need greater integration of spirituality and psychotherapy. I cannot imagine doing psychotherapy without God in the room. I have been nurturing a vision of our churches becoming centers of healing. (Some already are, of course, but many are not as you noted.) Thank you for giving me more to reflect upon. Just a side note: This is another one of your excellent and far-reaching articles. Sometimes books for further reading are suggested during these posts – and I’m very grateful for the recommendations….. But it is in my mind that the time is coming (and perhaps now is) where the masses will be so broken that they will be unable to read these books – through lack of attention span or willpower, not intelligence. I think part of the answer for this is what you’re doing here – ripping a page out of one of those books and discussing it in a group. We can all stand around and say it shouldn’t be that way, but I appreciate people like you, people that don’t argue about what is but get busy doing something about it. For in truth, if people learn to sip milk here, they might actually get strong enough to digest the meat in those books. This is my way of thanking you once again for your ministry, but also hoping that all of the Church will understand the need to be more missional to the starving souls who are in fact dying all around them at their feet. I think this might help you see how shame affects people. Bottom line, guilt driven people make better CEOs because the guilt motivates change while shame inhibits it. Shame is a terrible taskmaster. Thank you for the kind words. Your description of “ripping a page” out of a book and sharing is very close to what I think of myself as doing – with the addition of digesting it first. There are an increasing number of very reliable books on the subject of psychology and Orthodox spiritual practices, etc.“The more I read from neurotheologians, though, the less likely god seems to me. Rephrased; all of our realities are experienced neurologically. Fr. Alexis Trader has a new book looking at Cognitive Behavioral Therapy and the Philokalia. He is a priest, a therapist, and a monk at Karakallou (on the Holy Mountain). That’s a fairly impressive resume. It was a difficult read (rather technical on all fronts) but very useful. Still digesting. I’ve seen some other things as well. It’s encouraging. something wrong with progressive taxation? Regarding your response to Rdr. Andrew, I’d like to offer a clarification: the subject under discussion is not the proportionate and appropriate sense of shame or embarrassment we sometimes feel in making mistakes (whether serious or not so serious) because of their realistic deleterious impact on others who were made vulnerable or hurt by us in some way. (This first sort of shame is quite healthy and is an aspect of the ability to feel empathy and compassion for others.) Rather the subject is “toxic” shame, by definition an inordinately deep and disproportionate and emotionally debilitating sense of shame that is really, as someone has pointed out, an out of control fear response–the fear of rejection, abandonment, and social ostracism mostly, but may also involve for some a threat to physical well being or even our very existence as well. We are less likely to develop this latter kind of shame if, while we are growing up and in our continuing experience, the responses of others to our mistakes are proportional to their seriousness and where the consequences of our mistakes are reasonable and appropriate and where we receive the opportunity through grace extended (i.e., continued empathy/emotional support, patient instruction/explanation about what is expected and why in terms we can understand at the appropriate developmental level, not rehearsing our past mistakes every time we make a new one, etc.) to make restitution and/or ask and receive forgiveness and quickly be restored to peace and a full sense of belonging with the others we may have hurt or offended. For all of us, this does not happen all the time in the way it ideally should. Even the best of parents get stressed or tired and fail their kids sometimes, there are always bullies in the school or neighborhood, and there are jerks in the work and market places. So, we all (to one degree or another) at times may struggle with some toxic shame–along with the reasonable and healthy kind which keeps us from becoming anti-social personalities ourselves. Some of us suffer to a greater degree than others from the toxic variety depending upon our temperament and social sensitivity and also the degree to which and how early and vulnerable a stage developmentally we were subjected to shame, rejection, abandonment (literal or emotional), harsh punishment, and inappropriate and unrealistic expectations for our behavior/performance. When the abuse heaped on us by others (whether intentionally or not) is done in the name of God or of pleasing Him, our relationship with God–and not just other people and ourselves–is injured. I believe this is what the Pharisees were perpetrating with their legalism and hypocrisy and that it is one of the reasons Jesus reserved His harshest public vilification for their patterns of behavior (which they justified in the name of fidelity to God). When the abuse happens at a very early stage of development and is sustained throughout childhood, it contributes to the development of such seriously disordered conditions as Narcissistic Personality Disorder and Anti-Social Personality Disorder where the person’s capacity to empathize with others and feel healthy shame is completely disabled. This inward dissociation from their own vulnerable feelings (e.g., shame, fear, sadness, loving attachment to others) and conscience can be understood as a survival mechanism–the only thing that allows these folks to manage their overpowering social (and even existential) fear. Instead, the fears are pushed deeply into the darkest recesses of unconsciousness under powerful protective layers of lust/envy, aggression, anger, and rage that are usually carefully hidden. Such folks, also for survival’s sake, instead become master charmers, actors and manipulators of others to feed these ravenous lusts–for attention, for control, for adulation–in short, for the bottomless pit of need for a sense of personal worth created by the deprivation of necessary grace–unconditional love–early in life). These conditions are among the most resistant to psychological therapy and treatment. With God, though, all things are possible, so we don’t despair–even in these latter cases. Spiritual abuse injures our ability to discern the presence and true nature of God–effectively, it cuts us off from communion with Him. It is possible, with the meaningful demonstration of love on the part of others (especially those representing God and presenting Him in the sacramental life of the Church) to heal from such toxic shame, but depending on the depth of the toxicity, it can be a very long process–many times being a one step forward, two steps back sort of thing. Nevertheless, such healing is, in Christ, our destiny. Did you see the new movie Les Miserables? I feel you would love it. Would love to hear your reflections on it. Shame for me is standing in front of a third grade class at the beginning of school having failed third grade last year, and telling your new classmates who were a year behind you last year how your summer went. It’s continuing in school not doing well despite repeating third grade, having professional parents who are yelling at you and calling you lazy, without knowing that you have a cognitive processing disorder. It’s figuring these things out when you are an adult, forgiving yourself and all those who didn’t know what was happening in your head, but realizing that despite good therapy and plenty of self-help courses, a loving spouse and years of helping others with similar problems, that some wounds just run deep. I have come to the realization that after 30+ years in the mental health business, that psychological therapy can only take you so far. In my first confession after my baptism into the Orthodox Church (after 57 years as a devout Protestant), my priest said to me, that I must put off childish things, and that Christ will take me to places I do not want to go. As I follow Christ to the cross and participate into his death, I must also descend with him into my own Hades. It’s a dark and lonely place. When I had to did my first service as a Reader solo, despite all the good self-talk and re-assurance that I was just a beginner, etc, I stood at the Readers stand in front of my loving parish members and trembled throughout the whole service, and kept looking for any hole that I could crawl into. I have gone deeper into the cave of my soul, and sometimes Christ extinquishes my light and says follow my voice. Many times I bump my head on a sharp rock, but without the light, without Christ’s voice, I am now truly lost. I don’t tremble when I do services now, just have a lump in my throat when I have to do Byzantine Tone 6 (or 7, or 8, or 1, etc). I didn’t burn down any orphanage or kill any rare tiger, but there is still a small (and getting smaller) voice that says I disappointed my parents, I let my family down because I wasn’t more successful (whatever that means), I should be able to master these liturgics, and on and on. Yes I envy those who can sing with confidence, who found the Orthodox church earlier in life, who are further along the path then I am, but I go to confession, I take the sacraments, and begin to feel some peace. The first line of the Readers Vespers service that I will read tomorrow night is: “Through the prayers of our Holy Fathers, Lord Jesus Christ our God, have mercy on us, and save us. Amen” Forgive for rambling and being overly personal. I offer my sincere respects to Father Stephen. You are worthy. Perhaps I may murmur a modest suggestion, by your leave, please. Psychologist Alfred Adler, a direct disciple of Freud might have known about shame, with respect! This is a respectful comment. To speak directly, always with respect, Fr., he mentions the inferiority complex as being his focus of therapeutic psychology. In this sense, especially in the West, children might not be overly protected, and thus develop a knowledge that there are adversative forces over which they have no means of protection for themselves. In the narrative, Eve explains curse: she was beguiled, that is unable to stand steadfastly,to fully understand. We are influenced by the entire world under that curse. As far as sorrow is concerned, we endeavor, and NEVER know what the result will be. Ladies may want children, but we all know of couples who must adopt them. Farmers may want a strong crop and we all know of agricultural disasters. Or sorrow. I am just presenting where I see shame being a Biblical subject. Envy seems to be fairly close to what Dostoevsky noticed and spoke of, “spitefulness.” I shall attempt to find the Dostoevsaky references vis-a-vis spitefulness. It esacpes me for the moment. I hope this is inoffensive. Rdr. Andrew, God bless you for “rambling and being overly personal.” Having a sibling with schizophrenia and a child with learning disabilities on the autism spectrum, and being a fellow struggler with toxic shame (performance anxiety and perfectionism), I hear you well, brother. We both know it does get better, little by little, and we look to Him Who began a good work in us to, indeed, be faithful to complete it. I completely agree with your response to John/TLO, it reminds me of Isaiah the Solitary in the Philokalia, well…, with a modern terminology! Your Fr. Alexis Trader link for Mary took me to a 404 error on your site. By the way, someone mentioned Daring Greatly by Brene Brown. I second that emotion. Very good stuff written at a beginner, non-clinical level. A great starting point. Dinoship, thanks for that reference to Isaiah the Solitary. I will have to look him up (hope his writings are available in English)! I’m not surprised to see the best of the insights of modern psychology dovetailing nicely with the teachings of the Fathers. Rdr Andrew – your personal sharing was utterly beautiful. I too can relate at some level, having been an extremely shy and sensitive child and young adult. I admire you for taking on your holy duty as hard as it is for you. May God bless you for your devotion. I believe it will get better (I remember how horribly nervous I was when I started as a reader in my RC church, a much simpler duty). I had (and it is still in my genes) a psychiatric affliction that caused me much suffering. One of the things that helped me most was to realize that ANY suffering, even the most pointless, can be transformed into prayer. This helped me to accept rather than resist or dread my symptoms. From a psychological perspective this was healing as the shift from self-focus helped me not to perpetuate the symptoms; from a spiritual perspective, it expanded my heart to be more loving, as I could offer my suffering for another. I don’t know if this will help you but I share it in a spirit of prayer for you. Thank you for your witness. Your response to TLO was extremely well said. You should write a book, if you haven’t already :-). I don’t know that I have ever heard anyone explain Narcissistic and Anti-Social Personality Disorder so well. In addition, it is good for us to remember that, in an online commentary such as this, we do not know what inner hurts another has suffered. We would do well (and do, for the most part) keep compassion ever evident in our sharing. Thanks. Fr. Alexios Trader is my spiritual father. I need to be discrete, but if you contact the Monastery of St. Gregory of Sinai, the Abbott, Bishop Sergios Black keeps very close contacts with Fr. Trader. Drewster, I fixed the link. Thanks. Your thoughts seem quite correct. I was working from Michael Lewis’ book, Shame: The Exposed Self. He was dealing primarily with Freud’s lack of treatment of shame (or looking at it differently). It’s not my field, but your thoughts on Adler seem quite correct. I know that much more attention is being paid to shame on the level of therapy these days – books, workshops, etc. Very helpful, I think. Like all things that become “popularized,” it will doubtlessly have some better treatment and poorer ones. I would love the opportunity to correspond with Fr. Alexis on the topic sometime. I have a number of other questions for him as well. I hear very good things about him. You’re blessed to have such a spiritual father. 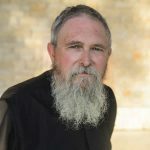 For those of us who are not schooled in the Orthodox church, but are increasingly drawn to it, as you once were, I would be grateful to hear your explanation of a spiritual father, and how this is different or similar to a spiritual director or confessor. Thank you. Thank you for these thoughts. I too have been thinking about shame quite a bit of late, and I think that juxtaposing it with envy is very illuminating. I was particularly interested in your discussion of the de facto pride of place enjoyed by…pride (pun sort of intended), and how our fascination with pride can obscure the more gangrenous effects of envy. I think that you’re right and that, especially in a consumer culture that takes a tacit Hobbesian anthropology for granted, learning to see envy in ourselves is crucial to spiritual health. One thing I’d like to add is that there seems to be a strange relation not just between pride and envy, but also between pride and shame. I often have trouble disentangling the two in my own reflections; a feeling of shame often following from some unwarranted pride that has been contradicted by brute experience. Evagrius of course makes the point better than I, in reference to accepting charity: “If you need food or clothes, do not be ashamed to accept what others offer you. To be ashamed to accept is a kind of pride.” (Faber Philokalia, v.1 p. 32) I feel that something must be wrong with me for needing clothes or food from someone else, hence shame; but isn’t this just the flip-side of the prideful individualism which tells me I’m superior to, and ontologically distinct from, the communities and relationships in which I live? Of course, this doesn’t exhaust the kinds of pride available, but it does seem at least to introduce a vaguely triangular geometry to the sins you’ve so beautifully discussed here. As always, thank you very much for your essays. They are a true gift. Fr. 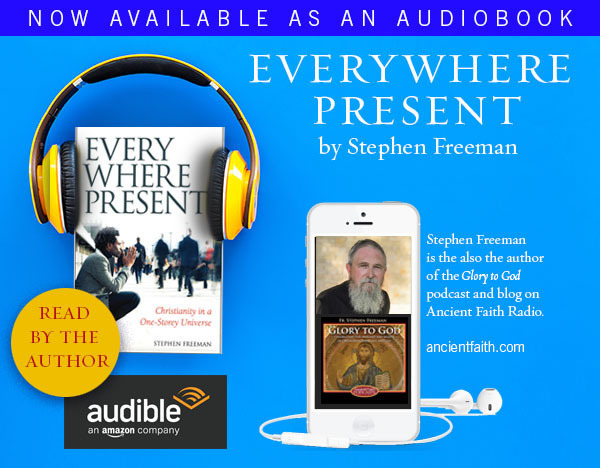 Stephen: The link for Fr. Trader still appears to be broken. Sergieyes: Thanks for the contact info. Yes I’ll be discrete. Thanks again. There was a piece of code cluttering stuff up. Got’er done! With respect, Fr. Stephen, Bishop Sergios Black provided me with an introduction–His Grace more or less suggested that Fr. Alexios Trader should be my spiritual father. I have Fr. Alexios’ address, but I am not sure what he thinks. It is best, if you want his contact to let Bishop Sergios intercede. If this is inconvenient, email me with a paper mail address and I will write a paper letter to Fr. Alexios and he can decide. That way, my mistakes will not smirch your holy discourses. When discussing shame I thought about the movie “The Kings Speech”. As you might know, to overcome studdering/public speaking the king had to to do several things. Most did not involve thing we might call spititual. Or are they? He did humble himself and listened and did what the teacher asked.Not easy for a king. I dont know how anybody could know,that “envy” is the motivation behind higher taxes for the well to do. It might be, but there could be other reasons too. Correct? If you want to win elections. I guess that would be “polics of pandering”. as defined pandering is:– a person who caters to or profits from the weaknesses or vices of others. Hum. I guess envy is more common than I thought! The interior sense of shame which many people have at all time, is an inner sense that there is something wrong or inadequate or failing about them. I appreciate cultures where it is very much acknowledged and rules govern it (classical Japanese, for example). We have much to learn. Amen to that! I wonder what this might do to the economy though. Isn’t most marketing based on shame as well? I agree. That’s why I avoid people who try to employ it on others. As for myself, I have discovered that “Getting realistic is indeed helpful” and getting at the “why do I have unrealistic expectations” is actually quite simple because I have come to accept that people are basically people. From a biological standpoint, it makes total sense to me. If I go into a situation knowing my limitations, it’s very easy to manage this. I think the real problem is when we put too much emphasis on what others think about us because we are terrible at correctly perceiving ourselves through other people’s eye (and we have a hard time laughing at ourselves). It also helps to have a very short memory when it comes to your shameful moments. Thanks for the excellent response. I understand this and I also would say that religious ideologies make great efforts to capitalize on this. Politicians do this as well as do many successful business enterprises. What I have found by stepping away from politics and religion is that, on my own, I have far more mercy on myself and a lot less disdain for others simply because I disagree with them. It is nigh on impossible to break free of this if you subject yourself to weekly reinforcements of your sinfulness or inadequacies or you are constantly highlighting your political view without giving your opponent’s perspectives their due consideration (etc). I’m reminded of an episode of “What Would you Do?” with John Quinonez in which actors posing as father and son were in a toy store and the son was wanting to buy himself a Barbie doll and the dad was struggling with this. The best response was from a former Kindergarten teacher who said, “This is totally normal for a kid his age. Let him have it and play as he wants to.” I cannot think of any instance of shame that is not tied to social stigma in some form. If we as people would allow people to be who they are, we’d not only feel better about ourselves but save others a lot of agony. To my mind, there are very few things about which humans should feel shame. I could probably narrow it down to less than ten. But I doubt that most people would agree with me. I agree! I cannot tell you how deep the shame was as I was growing up. It was like living under forty tons of manure. It was so pervasive that I could not even begin to believe that I was anything but completely worthless. My positive mental health did not even begin until I left the faith. I am not encouraging others to follow me but I am encouraging people to look at the world more realistically. If one can do that within the confines of their faith, so much the better. But at all times, my goal is to help people free themselves of such weighty issues if at all possible. In my experience with Japanese culture, shame seems to grow in a somewhat different orientation than in the west. Western shame tends to bear its weight upon the person more as an independent unit (one’s personal guilt, etc.). More often in the far eastern cultures, shame takes its force from the responsibility one feels for maintaining the ‘face’ on behalf of one’s social group, especially ones’ family or business. When a person of the west experiences embarrassment, the foremost thought might be something like “this makes me look stupid”. In the east, it would be more like “this will bring dishonor to my family”. The movement away from shame, is a profound instinct for wholeness. Many people aren’t willing to do what is necessary for that to happen. I fully understand even the necessity to reject “God” in order to be free from it. I say “God” because I think it is a false “God.” There are so many – even among Christians. Fr. Thomas Hopko has said that sometimes it requires grace to be an atheist (or an agnostic). It seems clear to me that you have some firm understandings of who God is not. I think that is lightyears ahead of many believers. God give you grace. Todd, your observations on Japanese culture ring true to the little that I know. It is interesting to me that Anselm’s original work on the offended God (and the atonement required by the offense) was that God’s “honor” was offended. It was quite a part of his feudal culture. God was like a feudal Lord whose honor was offended and had to be repaid. Thus it was not a “legal” debt, but a “shame” debt. Or so it would seem. It’s still bizarrely wrong – but interesting nonetheless. Fr. Thomas Hopko has said that sometimes it requires grace to be an atheist (or an agnostic). It seems clear to me that you have some firm understandings of who God is not. I think that is light years ahead of many believers. I wish that I had been raised around such rational, caring, and truly good people. I would be absolutely delighted to see more “Christians” begin to think like this. The world would very quickly become a very different place if they did. I may not agree with Orthodox dogmas or teachings but there is no denying the results. I have yet to meet an Orthodox Christian who is unlike those represented here. Yes. The King’d speech – a good example. As for politics and economics. There is very little truth-telling (particularly in the media). We need fairly straight-forward facts, good men and women, and the will to do the right thing. One hard fact is that the largest portion of wealth, as income, belongs to the so-called “middle class” and that without us, there won’t be a way to “tax” ourselves out of our problems. Ultimately, we’ll not be able to tax ourselves out – at best – we could grow ourselves out with a robust economy, long term growth, and reasonably structured retirements and benefits (I am not far from retirement – but I understand that I might have to delay it for a couple of years in order to save the system). But the “emotions” of politics (they’re almost never rational) are rooted in anger, envy, fear, greed, etc. I have always been fascinated by the Old Testament law of the sabbaths, in which the land was given rest every 7 years and in the 50th year, all debts were cancelled and land reverted to its original owner. It was a means of “redistribution” without any comparison whatsoever in the ancient or modern world. It was also largely ignored. It is a type fulfilled in the coming of Christ and the inauguration of the Kingdom of God. This is wonderful discussion. I wanted to add another thought on shame. I believe that there is considerable variability on the extent to which people experience shame. While there are some experiences that would evoke shame in almost everyone, some people (often those of sensitive constitution) can feel shame in response to a mere perceived voice inflection or facial expression. Others would not even notice these things and feel shame only with major experiences. My impression is that this has to do with nervous system reactivity. Some people are, I believe, born with more sensitive nervous systems. It doesn’t take much to trip the “emergency” alarm that my “badness” has been noticed and the resulting thought that this will have devastating results. I also believe, on the basis of studies regarding the impact of trauma, that some people’s nervous systems become more sensitive through trauma (could be obvious things like sexual abuse or combat, but I certain wouldn’t rule out emotional or spiritual abuse). One of my deepest griefs is when I see fellow “Christians” attempt to capitalize on shame to manipulate others into some kind of religious performance so they can feel that they have done something for “God” and validate their own “faith.” It’s like a vicious circle because they are doing that largely because it was done to them first, and they think this is what being a good Christian is all about, but the Truth (i.e., the real Jesus, not the one of the ideological Christianities), Who has shown us the Father sets us free from all that. Thank you Father. There is too much here to absorb at one sitting, and I am too overwhelmed right now to make a contribution to the discussion. I feel as if you have shone a large electric torch into the depths of my soul. concerning the many nuances of shame and sensitivities as well as your mention of Grace going well beyond our efforts, I would like to point out the importance of ascetical Nepsis (vigilant watchfulness, attentive stillness in the Secret Place of the heart) as the cure – the true panacea – for such matters! One can become dizzy with the multitude of (extremely effective might I add) techniques of both cognitive psychology and traditional Patristic, ascetical ‘psychotherapy’. Fr. Alexis’ Trader book is indeed a fantastic resource concerning all this. However, the simplicity and effectiveness of narrowing all techniques into nothing more than the “singularity” (to use a astrophysics term) of Nepsis is unmatched. It has the power to make one taste (with the help of God’s Grace), even if for short periods of time at first, how, at one fell swoop, all problems are sorted out! Hence the reverence of the practice of the Jesus prayer in monastics. If combined with the cutting off of our will as practised in total trustful blessed ‘obedience’ as its bedrock, as practiced and enjoyed by monastics, it truly can cure what might seem virtually incurable in a very short time! Meditation and contemplation can change the mind, but it cannot change the heart. Only deep repentance changes the heart. this is the difference between the Jesus Prayer and other mantras. In my mid-twenties, when I was doing extremely intense contemplative exercises that took me to the heights of mental clarity and bliss, was when I my behavior was the most evil it has ever been. Purity of mind (a counterfeit one, as far as I know) can be fairly easily gleaned, while purity of heart normally takes a far greater length of time of deep repentance, indeed. However, might I add that one can have a definite “preview”, (of THAT purity) through the combination of Grace and compunction; those blessed tears really show us what the blessedness of the meek and lowly tastes like, even along the still treacherous early stages of spiritual life, which is mixed with a great deal of -somewhat “understandable” and “acceptable” (to a degree) for a beginner- delusional notions. I don’t believe that God was shamed, but from this perspective was/is His shame that he did not create a human who could remain pefect. He messed up. I am reading elder Sophrony’s ‘WE SHALL SEE HIM AS HE IS’ slowly, carefully, sometimes with tears. Mary, your last comment just rings so true and very helpful to the subject at hand. Being in the Liturgy and in personal prayer really are key and very powerful for retraining the overly sensitive nervous system I’m finding. And, most of all, thanks be to God for his unspeakable grace! God created a human race that could remain perfect…but one that could also reject that path. One of our greatest blessings/curses is free will. He wants nothing short of us choosing to be with Him forever. There is no shame for Him in the way He created us. There ARE many questions that could be asked about why He did things and why they’re unfolding like they are, but our confusion about these matters point to our lack, not His. His ways are not our ways, as trite as that can sound sometimes. Orthodoxy does not teach that God created Adam and Eve perfect. (Which is how I read your meaning by saying that “God created a human race that could remain perfect.”) God created Adam and Eve with the choice to become perfect or the choice to fall away. They chose the latter, of course. Christ came to take human nature back up into perfection, opening the way to all of us. But you’re right: free will is still the crux of the matter. Surely there are different levels/types of healing – and all come from God. However, we are not ready for all of them. Some may be ready only for deep breathing, while a few Nepsis (as best I can understand the term through Google – I’m sure not well), and many are somewhere on the path in between. When we minister to others, or ourselves for that matter, we need to be (humbly) aware of and accept whatever level of readiness is there. God will take care of the rest – for His healing is not limited by method or approach. And He is patient with our need (often protracted) to ready our hearts to receive His gift. Some people have mentioned an interest in Fr. Alexios Trader. I had some issues with needing healing, and he stated that deep breathing was extremely valuable both spiritually and as a healing modality. He stated that best is the Jesus prayer, sometimes short, such as Lord Jesus Christ have mercy, or longer,such as Lord Jesus Christ, Son of God, have mercy on me a sinner. As spiritual father he allowed any of those, and I have practiced one or another in diseased states. Invariably, deep breathing or the Jesus prayer eventually alleviates illness crises. This is anecdotal, but the office of spiritual father is there to allow Christians to receive total grace with small means. Great is the Lord. Some may be ready only for deep breathing, while a few Nepsis (as best I can understand the term through Google – I’m sure not well), and many are somewhere on the path in between. God created Adam and Eve with the choice to become perfect or the choice to fall away. How could they fall away if they weren’t already perfect? One does not need to be perfect or have perfect knowledge in order to choose to sin or not sin. Even “innocent” children are subject to the passions at quite young ages. I have seen children under 2 years old from good homes with good parents display greed, jealousy and anger, for example. But they are very young children who do not know better so we adults do not bestow blame or guilt on them; rather we teach them to know & do better as they grow into adulthood. In Orthodoxy Adam & Eve were created innocent, not perfect as Western Theology proclaims. Only God is perfect in the absolute sense (Matthew 19:17). By innocent is meant that they were created in the image of God & were to strive to become in the likeness of God through continued union with Him. Though not “perfect”, they knew enough of what they needed to know in order to remain sinless…but they chose not to. Wouldn’t A&E fall into the same category? Man (Adam & Eve) can be a combination of “innocent” as well as “responsible for his further development” as we see in early adolescence, a time when many temptations assault a person and that person can either go along with them or resist them and cement his union to purity. TLO: I did not mean to imply that Adam & Eve were 2-yr olds. Remember God is fair–always. As I said earlier, they knew enough–i.e. they were created with enough maturity & awareness–to not break the one rule God gave them, thus they were culpable for their sin. For as long as I have been alive, the story of the Fall has persistently been turned around so that the blame is put on God by those that refuse to believe or do not want to believe that God is fair. Thus, modern man continues in the same sin of pride that Adam started when he stated, “The woman You gave me…” (Gen 3:21) by blaming God & refusing to repent. First on Adam and Eve. under heading of “what’s fair, etc.” Adam and Eve are theological figures (not to be argued about in the sense of literal characters). Regardless of how someone reads this part of Genesis – they remain “theological” figures. The teaching of the Church is that they are created “without sin,” “innocent,” but not “perfect.” Perfect means complete and whole. They were created “in the image and likeness” of God. Generally it is held that they are created in the image and “towards” the likeness. And that we never fulfilled the likeness. Christ alone is “perfect” man – He alone is fully the image and likeness of God. Sin is “missing the mark.” This is the nature of human sin – that we turn aside from the truth and fullness of our humanity. Our salvation in Christ restores us to the right path, and by grace we are enabled to complete that journey, becoming conformed to the image of Christ. Life as we know it is not a punishment for our sin – simple the consequence of the deviation from our goal. It is held that the whole creation “misses” the mark to a certain degree. Things are created with a direction and a purpose that has yet to be fulfilled. We believe that we see signs of that fulfillment in the Incarnation of Christ and in things and events around Him – but that we will not see all things properly fulfilled until the end of all things. We “participate” in the end of all things even now, in a sacramental and mystical manner, in our life in Christ, sometimes with very striking manifestations. But everything that we see and know now, is “proleptic,” it looks towards something yet to be made known in its fullness. For now, we know in part, then we will know even as we are known. 1. The anachronistic representation of something as existing before its proper or historical time, as in the precolonial United States. a. The assignment of something, such as an event or name, to a time that precedes it, as in If you tell the cops, you’re a dead man. b. The use of a descriptive word in anticipation of the act or circumstances that would make it applicable, as dry in They drained the lake dry. 3. The anticipation and answering of an objection or argument before one’s opponent has put it forward. pro·leptic (-lptk), pro·lepti·cal (-t-kl) adj. Thank you for this. This subject of shame hit me like a ton of bricks as I read. I’m approaching 45 years old. I am a very introverted, shy person who struggles in social situations. Whether I’m at my job (which I just started within the last 5 months) or at coffee hour at church or any situation where I don’t know people, I have an overwhelming sense of “wanting to hide”. I struggle to connect with people because just as you described the toddler who wants to hide their face when suddenly thrust in your presence, I too (just like the toddler) want to “hide my face”. For most of my life, I have just assumed this is because I’m shy and introverted. But you see, I also struggle with anger, angry outbursts (rage), and depression (subjects that frequently come up in confession). I have struggled with depression my whole life….sometimes debilitating depression. But I realized reading your blog that a deep seated sense of shame is what is really behind my struggle with anger and depression, as well as why I have an overwhelming sense to “hide” in social situations. Now if I can only figure out where my sense of shame comes from….. I would also like to ask…..does “shame” need to be confessed as sin? Thank you for the kind note! Shame is not a sin – it’s just an emotion. Interestingly, it is described as the one emotion that human beings cannot bear – thus we either change it into something else – quickly change our behavior or situation – or otherwise act in a way to make it stop. It is these actions that tend to get us into trouble and hurt others (or even ourselves). Some people may have a great, deep shaming event(s) that is a great source of pain in their lives – some seem to literally be “more sensitive” and likely to experience feelings of shame. Shyness, etc. can indeed be a reaction to that. In cases where shame is strong, or seems to be really impeding our lives (such as you so well describe), it makes sense to get help. Therapy, good secular therapy even, is quite helpful. It’s not something we successfully treat and manage alone. The nature of shame includes its intense secrecy. At least one other person can be quite helpful in breaking that power. Coupled with a good confessor and a kind priest, we can make significant change in our lives. There is no measure of a “good spiritual life.” It becomes whatever it becomes by the grace of God. I have found that without dealing with shame and related issues in my own life that I was going to stay stuck in a lot of ways – it was hurting me. I have no thoughts that I will be some completely different person in my lifetime – but I’ve found a great deal more understanding – and with that much more effective repentance. Knowing where our problems truly lie is much better than simply being tossed about. I would absolutely love it if the right Orthodox priest would give us a book on shame and the spiritual life (I’m not the right one). I may send the suggestion along to a couple of priest/writer friends. Fr. Stephen – How I wish I had been raised under such thoughts as “they remain theological figures.” It would have saved me from all kinds of mental agony. I recently asked a very old friend with who I recently connected and who is the pastor of a large non-denom whether he had studied the Church Fathers and if so why he remained Protestant. He essentially called Orthodoxy the “old wine” and Protestantism the “new wine” that is more relevant to current culture. Yet he admitted that he had merely been introduced to the Church Fathers in seminary and didn’t study them deeply and knows very little of Orthodoxy. Do you feel as if you are caught in a Catch 22? What I mean is, there is no real philosophy in Orthodoxy that promotes outspoken evangelism (as far as I can tell) and yet there are bazillions of “Christians” who I think would find Orthodoxy richer and far more fulfilling if they were introduced to it. It seems to me that a bad theology is far worse than no theology. It really bothers me that Protestantism is still so prevalent. I think the most odious is pseudo-Orthodoxy such as the Charismatic Episcopal Church or Anglican Church. It’s rather like current American culture; too many think the founding fathers were brilliant but but are not relevant to modern culture. Both this idea and the “modern Christian” ideas seem to me somewhat nefarious. Hi Patrick – I think it’s important to note that “introverted” and “shy” are two very different things. The introversion is responsible for not being able to connect to people. I think of people like Johnny Carson who became a wallflower whenever he was in a room of people. That’s introversion. “Shyness” is, as Fr.Stephen pointed out, an outward expression and perhaps related to a sense of shame. But it may also be a survival mechanism. People who have been deeply wounded often are shy just as a means of protection. I would caution too that it is all too easy to translate our feelings into “shame.” The Calvary Chapels of the world put a ton of emphasis on shame but from what I can tell this is an adopted position that people grasp in order to make sense of a bad theology (Protestantism is replete with shame). I personally do not think that the true Christian message has anything to do with shame except to free people from it. I think of the story of the woman caught in adultery. Jesus did not forgive her for this sin. I think this is critical. He didn’t even accuse her. The message, to me, is “So you screwed up. I don’t accuse you but don’t go there again.” To my mind, this is far more freeing than forgiveness ever could be. A word about forgiveness; I was the reader on a Wednesday night service and we were reading Psalm 130. When it came to “But with you there is forgiveness, therefore you are feared” I was almost struck dumb. “The fear of the lord” meant something very different to me until that moment. I think when it comes to your sense of shame, the very best thing you could do is to understand the Christ who did not accuse the adulteress and who forgave the paralytic even though the paralytic never asked for it. Why did he do these things? I think in part it was so that those people would forgive themselves. To me, these represent the heart of Christ better than anything else. I may be wrong. Others here will correct me if that is the case. It’s a serious question you’ve asked. Brief thoughts – at least one of which will eventually get a full article. 1. The missionary and evangelism aspect of Protestantism is largely a 19th (slightly late 18th) century invention. It’s a result of a “mainstreaming” of the 1st and 2nd Great Awakenings in America (for that matter – modern Evangelism is an American invention). It has some aspects that are difficult (for theological reasons) for Orthodoxy to embrace. Orthodoxy is indeed quite mission-minded in many places and times. It evangelized most of what we think of as the Western world (as well as the East). But that mission work was always a Church-embodied gospel (because there is no other true form of the gospel). Christianity is a Churchly practice and cannot be practiced by an individual. The Evangelical invention of a Sacrament-less, Church-less, Bible-centered Christianity is simply a modern perversion of the Christian faith. It is hard for Orthodoxy to compete with such a re-invention of the faith because its form is synonymous with the culture in which it evolved – a culture that itself was shaped by the exact same forces. The article that I will eventually write treating some of this is on the 19th century “Americanization” of Christianity. Modern Protestantism as we know it, is an American invention, more reflective of our culture than Orthodoxy is of Russia or Greece. At least Russians and Greeks know that their faith and culture have a relationship and can often give a healthy critique. At least Greeks know that Russians are Christians and vice versa. American Protestants are frequently so culture-bound that they know nothing of anything except themselves. And in some cases they have helped create a foreign policy in our land that is destroying Christian cultures in the Middle East that had survived everything that had come their way for 2000 years. It is tragic. 2. In a conversation with another Orthodox priest this last week, he shared thoughts from Met. Jonah (former Met. of the OCA – and a very creative and dynamic Orthodox leader). The suggestion was, “You should rent a large venue, and simply begin to preach the fullness of the Orthodox faith.” People have no idea of something about which they’ve heard only distortions. True Christianity needs a public witness. It’s something I’ve heard only a few days ago, but it’s been rattling around in my head. Now you suggest that we should do something that might fall under that heading. Hmmm. As much as it seems wrong to criticize the people who did try in their own way to love, and to provide for at least some of the community (mainly those who were willing to enter church doors) I complained in my Protestant church (ineffectively) and just could not stay. From my experience, despite Js 5:16, Protestants often see confession to anyone beside God as silly. The same church that lacks mentors and you sign up for a mentor OR a freind, there was a plan to build bigger to accommodate more undiscipled people. Fasting and sound doctrine are optional. Worship is entertainment (my experience): pastors do not know their people. They are actually public speakers. Feeding poor people may be something “that our church is not ready for” but raising $16M for a building “to reach our city for Christ” is fairly acceptable (still speaking from personal experience). After all of this, a very reputable leader stated that God was taken out of our classroooms, so we are having school shootings, as if Christians’ living amidst the wars of their countries was perhaps a result of -?- their own ungodliness. I guess as I i within my OCA church, part of the question is how it does with serving the “least of these” outside of the church building. Our priest has made it clear that he wants ours to be a church that serves these people. I admired this even more because it was clearly outside of his comfort zone. Regarding my former Protestant churches, I may have been the only one in the crowd seeing a problem. Everyone else stayed, apparently content with minimal hospitality and great public speaking. Lee Ann, the specific phenomenon you present is very authentic and a very real part of the USA. Fr. Jon Braun, former Luther Pastor, later Priest in Metropolitan Philip’s Antiochian Self Ruled Archdiocese, forever kept saying that Protestants are very ethnically bound, and should be freed. I met him, as well as Fr. Jack Sparks,and then Fr.Sergios Black (OCA), now Bishop, HOCNA, in Southern California in a very fortunate year of about 1994. King James Bible (Isaiah 9:2) The people that walked in darkness have seen a great light: they that dwell in the land of the shadow of death, upon them hath the light shined. Fr. Stephen – You articulate well that which I merely supposed from afar. And you are right in every regard except that I don’t think that the use of the word “heresy” would be incorrect (although it would be inflammatory). Also, Russia and Greece have their own distinctive culture and heritage going back thousands of years. Not so the US. That’s part of the problem and why a “church” full of disparate individuals fits so nicely within our borders. Lee Ann – You are by no means alone. Much of what you cite is felt by many many people. You can find a lot of them at exchristian_dot_net. But even more you will find at Protestant churches on Sunday morning. The problem is, Protestants have demonized Catholics and Orthodox as “idol worshipers” so effectively that even though many long for community and depth, they will not look in that direction. And this speaks to the conundrum to which I referred. Is it better to evangelize “the least of these” and thereby win others though your witness or is there any validity to at least making it known to Protestants that there is depth to the Orthodox faith and inviting them to learn more? I tend to agree with the wisdom of the former. One does not want to debase oneself by becoming good at marketing strategies rather than following Christ, methinks. Perhaps the solution will come as American culture degenerates and finally collapses. It seems that Protestantism is simply another marketing arm of the Western Political machine in many respects. When the one falls, so will the other. “Perhaps the solution will come as American culture degenerates and finally collapses. It seems that Protestantism is simply another marketing arm of the Western Political machine in many respects. When the one falls, so will the other.” John Shores. If it is any comfort, the President of Princeton Theological Seminary concurs. I happened to hear him at Seattle’s University Presbyterian Church, where the Pastor is a visitor (inspector) to Princeton Seminary. The President Of Princeton Seminary stated bluntly that most Protestants are very boring and that many churches and denominations were going bankrupt due to their being uninteresting to youth. No challenge to approach and save, “the least of these” was presented by most Protestants. There was one exception, according to the President, which was churches which had dozens (as many as possible) of small dedicated groups, such as retired men, or disabled persons, etc. And the signal characteristic of these successful groups was a covenant relationship. Or commitment amongst members. However, it is not sacramental commitment, it is ethnic Protestant . Fr. Jon Braun repeated ever and anon: Calling to remembrance our most holy, most pure, most blessed and glorious Lady, the Theotokos and ever-virgin Mary, with all the saints, let us commend ourselves, and one another, and all our life unto Christ our God.To Thee, O Lord. http://www.protomartyr.org/first.html (re Rome, what was the first Church, etc.). http://www.apostle1.com/organizations-1.htm (many specific subjects to educate catechumens benighted by a culture inimical to Orthodoxy). I knew Frs. Braun and Sparks, etc. who predicated themselves and colleagues to overcome the hurdle from ethnic protestant groups to sacramental unity. I hope their actions provides tools for you. John, I don’t think it’s a case of either/or in terms of Orthodox reaching out to the “least of these” and evangelizing to the whole culture. I don’t think Orthodox evangelism should look and sound like Evangelical and Fundamentalist evangelism (obviously, doctrinally it will be different, but I’m not just talking about doctrine, but m.o. as well). There can be no proselytization or manipulation (heavy reliance on marketing techniques being only one form that can take), just proclamation, patient teaching, and welcoming invitation “Come and see!” It seems to me there is not only a need for readiness on the part of the culture, which you touch on, but readiness in the state of Orthodox Churches here in the U.S. to be spiritually healthy enough to receive and disciple converts as well. As parishes reach that state, I think they naturally attract converts and start to grow. God knows how all that should work out and work together. Karen – I agree. It seems to me that the path that the Orthodox church must take is to be yeast to society. It has long been my opinion that only those who imitate Christ have a right toe be called “Christians.” That the term “Christian” has come to mean many things other than an imitator of Christ is, I think, very unfortunate. New Zealand, if what I read is correct, is a fairly successful Social Democracy. State Protestantism, of the 18th century, began to see itself as the “conscience” of the nation. It functioned to bring about a greater awareness of the critical social needs of Western culture. These were the “Whigs” and were largely early Evangelicals (Wilberforce may have been the greatest of them). “Whig” policy ultimately won out – with the result being “Social Democracies” of one form or another. But as the State took on these moral tasks, the need for the Church withers. Positioning itself as the keeper of a “moral” salvation, Churches become superfluous when the State becomes, more or less, moral. In Orthodoxy, the Church (despite charges of Erastianism) exists to offer creation to God and God to creation. It is the Sacrament of the Kingdom. We would like the State to be moral, but it does not alter or effect the essential task of the Church. I’ve been told that New Zealand is one of the “nicest” places in the world to live. I believe it. I also would not be surprised to see the near total collapse of the Church there, as a superfluous institution. BTW, I listened to your sermon on the Baptism of Christ on your website – enjoyed it. I enjoyed the accent as well – nice to put a sound with a name! Insightful comment John. Some Church Fathers have suggested that God would have still become human, even if we had never fallen. I sincerely agree with the saint that said,(concerning the matter of “evangelising” to the world from an Orthodox perspective), that “the only reason there are people in the world that still have not come to believe in Orthodoxy is that those that do are not Saints themselves.” In other words, if a few people concentrate on “the one thing needful”, to the exclusion of all else, and succeed in becoming true ‘repetitions’ of Christ, a great multitude would be affected by their sheer presence! I think true Orthodox evangelism vs. our more human activist thinking about this (typified in many aspects of the Evangelical movement) is a question of being vs. doing. The Christian who is genuinely being transformed through theosis attracts others to Christ just by being who he is. It is too easy where this is not present (or present to the degree it should be) for “doing evangelism” to become nothing more than trying to charm or shame others into a religious performance of some type and the real underlying motivation is to assuage my own spiritual insecurities as a person of worth in the eyes of God. That rings very true indeed Karen. There are a lot of comments here and I admit not reading them so if this has been commented on, please forgive my laziness. Just last week I completed reading a book called, “Thoughts Matter: The Practice of the Spiritual Life” by Mary Margaret Funk. She addresses envy, called “vainglory” in her book and it was beautifully hard hitting. So my question is on how the thoughts were addressed by the Fathers. In her case, she is distilling the work of John Cassian. That there are even thoughts of vainglory and that there are ways to combat them were new to me. Am now taking a run at the second book “Tools Matter” which gives tools to deal with these thoughts. Ultimately sins. I found it interesting in the second book (am only at the very beginning) where she mentions that we need not work on virtues but work on the weeds, the sins. The virtues will rise once the sins are gone. Vainglory/envy of course is such a sin. You mention shame in the same company and though you refer to both as being hidden, and perhaps that is all you meant bringing them together, could shame be considered a sin or an affliction? Is it something to weed like vainglory for example? Thank you for your post, Father; very timely. Oh I am sorry! Just quickly scrolled up…you’ve addressed this. Sorry to clutter your comments section with my laziness. I can’t believe that I’m the one to say this, but not all Protestants deserve such a negative rap. There are numerous Protestant churches — typically of the Presbyterian, Lutheran, or Anglican traditions — that remain liturgical, sacramental, creedal, and patristic (insofar as it is possible for Prots to be patristic). They administer Word and Sacrament with dignity and reverence. I’m familiar with the pastor of a local Reformed congregation. His homilies regularly impress me with their orthodoxy and catholicity. His church partakes of holy communion every Sunday with more respect than I’ve witnessed in some Catholic parishes. Last week I attended a baptism at a little Episcopal church. Again, wonderful exposition of the Gospel followed by the solemn administration of the eucharist. Beautiful psalmody, too, plus all those wonderful prayers from the Book of Common Prayer. Both the Reformed and the Episcopalian pastors know that I am Catholic. I didn’t receive communion, naturally. PJ, the issue that exercises Orthodox, especially the Old Calendar, is a simple question: Is there a strong education in defense against Nihilism in those precincts? I know that many revere & respect Fr. Seraphim Rose, even wanting him to be canonized as a saint. I myself own a couple of his writings. He was a good translator & we now have several works available in English thanks to him. However, he can be un-Orthodox in some of his thoughts; so use care. Keep in your thoughts the doctrine of the Orthodox Faith. It also helps to keep in mind the counter-culture environment he grew up in within the US West coast. I tend to stay away from his theological writings myself. Others have done better in that aspect. Re: Rhonda’s post: If you are going to name someone as being unreliable, -un-Orthodox (!) say what specifically is wrong with his thinking. This post is gossipy and counter-productive. I was not gossipy nor did I declare him “unreliable”, I said merely that at times he can be un-Orthodox in some of his thoughts & writings, so be careful. This is very different from stating that he is un-Orthodox. He was an Orthodox priest/monk & if he were still living I would have no qualms about rendering him due respect nor receiving Communion by his hand. Some would (& have) said the same about my favorite Orthodox author Fr. Alexander Schmemann. I have said nothing about Fr. Rose that the Orthodox do not claim about most Orthodox writers, even the Church Fathers; none of them writes infallibly at all times & all of them in one way or another err. I could go into some of his theological errors, but I feel that would be counter-productive at this point. Hopefully, Fr. Stephen will answer your question. I apologize for any offense. Lee Ann, just for the record, Rhonda is saying nothing different than the pastoral counsel Fr. Stephen has given us regarding Fr. Seraphim Rose as well in comments on this blog. I would hardly call his counsel gossipy. He did give some particulars saying words to the effect that he would regard Fr. Seraphim as a good monk, but not as a particularly good Orthodox theologian. One example is Fr. Seraphim’s interpretation of the Creation accounts in Genesis. Rhonda, your latter point about no Orthodox Father being infallible is well taken. I didn’t take your comment as a critique of Fr. Seraphim’s life, but rather of some of his writings–which effort of discernment it seems to me is required of every Orthodox Christian. Fr. Stephen, may I ask what book you were reading on envy? I would love to read more about it from a theological perspective, and haven’t read much. May I also ask, have you come across a book called Cinderella and Her Sisters–The Envied and the Envying, by Ann and Barry Ulanov? The first half is a psychoanalytic exploration of envy, and the second half a theological. It is the only book I’ve ever read on the topic, but it was life-changing in coming to understand the impact of this sin. I read once in St. Athanasius, On the Incarnation (I can’t remember where) that God has envy for nothing. (And he quoted Wis of Solomon in saying ‘by envy of the devil death entered the world’). That was a life-changing moment for me, to realize that God does not envy anyone or anything its existence, and perhaps envy–as others said in this commentary–might be the original sin. I’ve also wondered why no one talks about it more….thank you for highlighting that! I hadn’t realized how rife with envy the world (and I) can be. I didn’t even know what it was, it’s mechanism, until I began to see the possibility of its absence. There’s more to it, I feel, but as you’ve noted elsewhere, some mysteries are too hard to put in words on a discussion. Thank you again for all your teaching. I am clueless about the spam filter program. It sometimes just decides that perfectly fine comments, without a hyperlink (all comments with hyperlinks are moderated), is spam. And I have to go rescue it. I check the “filter” everytime I go to the blog, but sometimes it gets delayed. The book on envy is called Death by Envy: The Evil Eye and Envy in the Christian Tradition. Some Orthodox books that I like represent an acquired taste. Some of the stuff on the evil eye will be off-putting for many non-ethnic Orthodox (and many ethnic as well). But this book is a small treasure and writes very well on the topic. It could use some improvement by editing, but don’t be put off by it. His thoughts on envy and the concept of a “limited good,” is among the most profound thoughts I’ve read anywhere. Thought on envy, which is among the most prevalent and dangerous of sins is surprisingly unaddressed in most modern stuff. It is well worth the exploring. Thank you, Father. I’ve ordered it. 🙂 It’s interesting about the evil eye. I know nothing about it, but it seems noteworthy that envy shows up in all kinds of cultural myths and fairy tales and superstitions. It’s striking that our modern theology should leave it so unaddressed. The notion of a ‘limited good’ resonates deeply. I look forward to reading the book–thank you!